This project features the examination of accent and dialect in the East Midlands, an area of England which is relatively under-researched as there has been no regional survey of the East Midlands since the Survey of English Dialects in the 1950s. It is striking that more recent localised studies which present an overview of regional speech in the UK are either lacking in up-to-date research from the East Midlands or ignore the region completely. Despite this lack of empirical evidence, anecdotally it appears that speech in the East Midlands remains extremely distinctive and locals insist there is considerable difference, for instance, between speech in the major urban centres of Nottingham, Derby and Leicester. The 'East Midland' dialect of Middle English was an important influence in the early development of Standard English. As a result, it can be argued that the dialect has been described and discussed more from the historical perspective than as a living and changing regional dialect still in use today. Recent national surveys such as 'BBC Voices' have provided limited illustration and description of general 'Midlands' and 'East Midlands' English today, but inevitably (given their wide geographical coverage) have not fully exploited many sources of information on this variety, in particular the rich source of data to be found in archival oral history. A more thorough study of the spoken English around the region is therefore overdue and essential if we are to have an accurate picture of the forms and usage of the East Midlands dialect from the latter half of the 20th century to the present day. Collaboration include a British Academy funded project, with Dr Diane Davies, University of Leicester entitled 'An investigation into dialect through oral history: The East Midlands'. The aim of this project was to address a gap in current knowledge about East Midlands dialect as a living and changing variety of British English. Using archival oral history interviews, samples of interviewees' speech were collected to illustrate the dialects and accents of people from across the region. Recent collaboration with The British Library have resulted in the publication of a monograph examining language in the East Midlands. An important aspect of this research is to work together with people outside of the academic environment, including school pupils and college students. Much work has taken place with such groups, partly funded by the British Association of Applied Linguistics in the project ‘Charting the East Midlands: Engaging the Community in Heritage and Language Projects’ as part of their ‘Applying Linguistics’ Fund. Dr Natalie Braber teaches in the School of Arts and Humanities within the subject area of Linguistics. Her teaching responsibilities are mainly in the area of sociolinguistics, child language acquisition and psycholinguistics. She is Programme Leader for the Linguistics MA (by research). Dr Braber also supervises PhD students on a variety of topics. 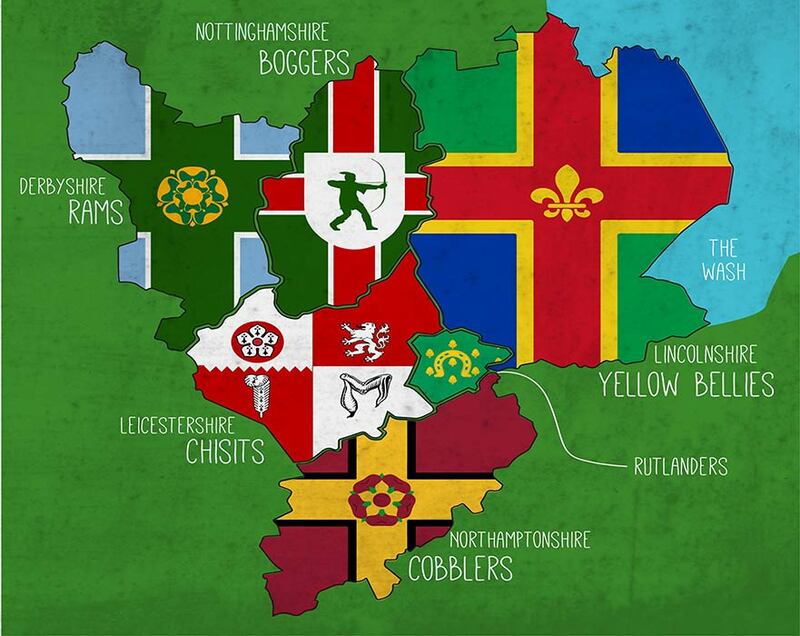 Further research is in progress to examine in more detail the extent of variation in accents and dialects around the East Midlands, and how these accents are perceived. It is hoped that this research will result in the publication of a book examining language in the East Midlands. This work is currently ongoing and is being presented at conferences and prepared for publication. Natalie Braber and Jonnie Robinson (2018) East Midlands English. Berlin: Mouton de Gruyter. Natalie Braber and Sandra Jansen (Eds.) (2018) Sociolinguistics in England. London: Palgrave Macmillan. Natalie Braber (2018) Performing identity on screen: Language, identity, and humour in Scottish television comedy. In: R. Bassiouney (ed.) Dialect and identity performance. London: Routledge, 265-285. Natalie Braber and Diane Davies (2016) Using and creating oral history in dialect research. Oral History 44(1), 98-107. Natalie Braber (2016) Dialect perception and identification in Nottingham. In: J. Cramer and C. Montgomery (eds.) Cityscapes and Perceptual Dialectology: Global Perspectives on Non-Linguists’ Knowledge of the Dialect Landscape. Berlin: Mouton de Gruyter, 209-231. Natalie Braber; Louise Cummings and Liz Morrish (Eds.) (2015) Exploring Language and Linguistics. Cambridge: Cambridge University Press. Natalie Braber (2015) Nottinghamshire Dialect. Sheffield: Bradwell Books. Natalie Braber (2015) Sociolinguistics. In: N. Braber; L. Cummings and L. Morrish (eds.) Introduction to Language and Linguistics. Cambridge: Cambridge University Press, 274-298. Natalie Braber & Nicholas Flynn (2015) ‘The East Midlands: Nottingham’. In R. Hickey (ed.) Researching Northern Englishes. Amsterdam: John Benjamins, 369-392. Natalie Braber (2015) Language perception in the East Midlands. English Today 31(1), 16-26. Natalie Braber (2014). The concept of identity in the East Midlands of England. English Today 30(2), 3-10. ‘Charting the East Midlands: Engaging the Community in Heritage and Language Projects’ (British Association of Applied Linguistics, £2,000 as part of their ‘Applying Linguistics’ Fund). ‘An investigation into dialect through oral history: The East Midlands’ (British Academy Small Grants, £7,490) in collaboration with Dr Diane Davies (University of Leicester) which used the East Midlands Oral History Archive to investigate language in the East Midlands. 'A Perceptual Approach to Accents in the East Midlands' (with Danielle Wood-Wallace and Jaime-Leigh Birch) to examine local school students' perceptions of language in the East Midlands (NTU SPUR project). 'Language and Ethnicity in the East Midlands' (with James Pell and Abigail Sutton) to examine how ethnicity affects language use in the East Midlands (NTU SPUR project).